If you are looking for a fun Thanksgiving craft for kids, head over to The Crafting Chicks and check out this fun free printable turkey craft created by Kiki Comin. You can let the kids assemble their own turkey, or you can make a few for a cute kids table centerpiece. Either way, they are a simple must have for Thanksgiving. 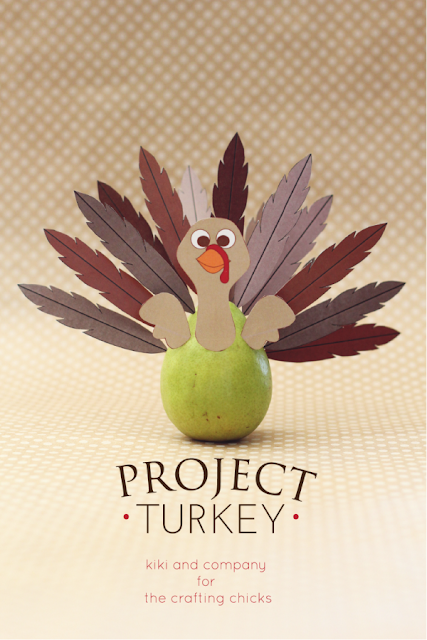 You can head over to The Crafting Chicks to get a copy of this printable turkey project and check out more of Kiki's great printables over at Kiki and Company.